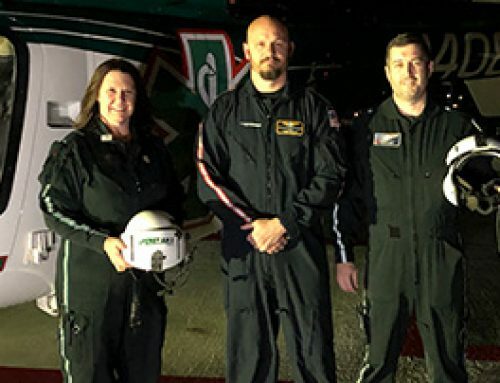 Members of University Heights Baptist Church had the opportunity to learn how to start the chain of survival during a special two hour class taught by LifeNet Wednesday night in Stillwater. The class covered how to perform quality chest compressions for adults and infants, how to initiate use of an AED, and the basics of how to stop a major bleed. LifeNet would like to see every member of the Stillwater community trained in CPR and AED use because every minute a bystander is unable to help is a minute between life and death for a patient in need until medical crews arrive on scene. 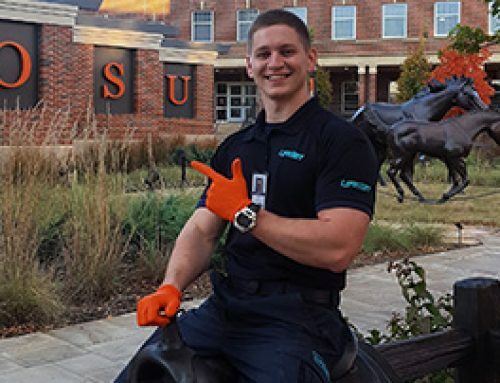 “When someone goes into cardiac arrest, the body has enough residual oxygen in it that a bystander should be able to do hands-only CPR until a first responder can get there to provide oxygen,” explained Zach Harris, Director of Operations for LifeNet in Stillwater. LifeNet regularly offers free CPR and AED trainings throughout the community because of the importance bystander intervention plays in improving a patient’s outcome when community members are able to intervene using these skills. “If you stop breathing and go into cardiac arrest, you are no longer getting oxygen. Ultimately, within five to six minutes, the body goes from aerobic metabolism to anaerobic metabolism which is the start of cellular death. 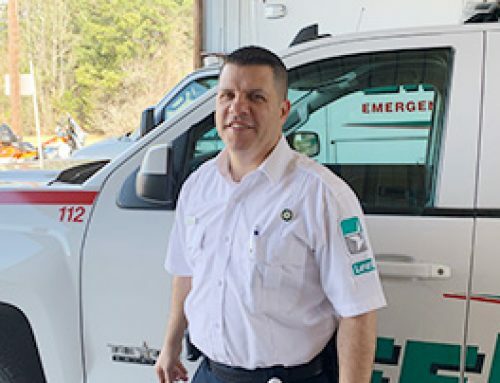 When you start CPR, you are helping the patient’s body circulate blood that still has oxygen in it, helping delay the process of anaerobic metabolism,” said Harris. 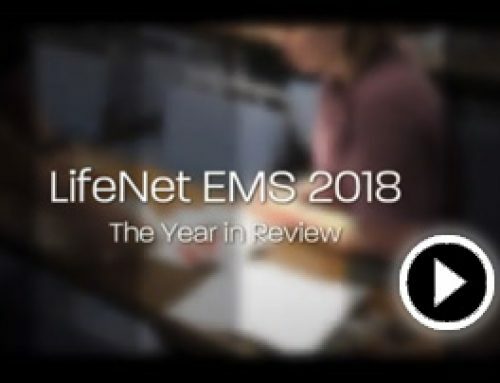 LifeNet discussed how to determine if someone was in a state of sudden cardiac arrest and shared that when in doubt, it was best to err on the side of caution. “CPR saves lives. It is better to do CPR on someone who does not need it, than it is to not do CPR on someone who does,” explained Harris. In addition to CPR, understanding how to access and utilize an automated external defibrillator (AED) is another key to survival. 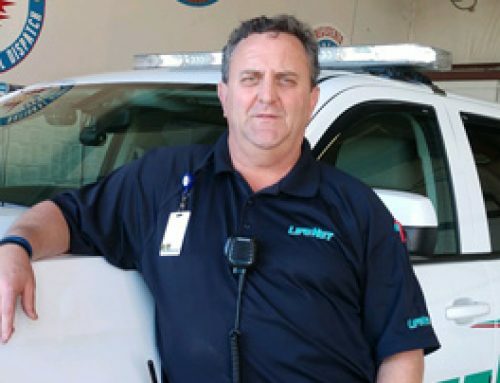 “Our governing board is the Western Payne County Ambulance Trust Authority (WPCATA) who has partnered with LifeNet to provide free AEDs, along with complimentary training, upkeep, and maintenance on the machines throughout the community. If you know of anywhere in the community with a large population where adults hangout, that’s where we want to put one. We want to save a life,” Harris said. AEDs work by attempting to override the electricity of the heart, so that it will come back to normal and can be used by lay people in the community. “AEDs are made so anyone with or without training can save a life by listening to prompts and looking at the pictures,” Harris explained. To learn more about how your organization can schedule a free training class, or to discuss the AED program, contact LifeNet at 405-707-0007.